Chilliwack, BC – RCMP are having to put out the reminder that phone scams are around at the best of times, but now that we are into the Christmas season, the thieves are as busy and cleaver than ever. The latest scam is a Mexican Time Share. If it sounds too good to be true– don’t sign up right away and tell the caller that you will investigate the opportunity. If they persist, hang up and if you can retrieve the number from call display– give that to Police. Then there are charitable organizations. A rule of thumb from FVN (Our Managing Editor once tele-fund raised for Red Cross) is that You will call THEM at YOUR convenience and then log on to their website and donate that way. Use a credit card so that the number can be traced. Again, if anyone is pushy on the phone– HANG UP and call Police. For more information on ways to protect yourself from fraud Chilliwack RCMP invite the public to contact Michelle at 604-393-3000, drop by Chilliwack Crime Prevention Services located at 45877 Wellington Avenue or visit us at ‘Public Safety’, ‘RCMP’ on the City of Chilliwack website at https://www.chilliwack.com/main . To confirm a Charitable Organization is legitimate police urge folks to visit the Canada Revenue Agency website at https://www.cra-arc.gc.ca/charitiesandgiving/. “Thieves work internationally through the internet and do not leave finger prints to their crimes. Police warn everyone these criminals are convincing and often assertive. We urge anyone who receives any unexpected solicitation to speak to the police, a relative or trusted friend before providing personal information, entering into a contract or making a money transfer,” said Cpl. Mike Rail. Police remind everyone who witnesses anything they believe to be suspicious in nature to contact the Chilliwack RCMP at 604-792-4611 or, should you wish to remain anonymous, call Crime Stoppers at 1-800-222-8477 FREE (TIPS). 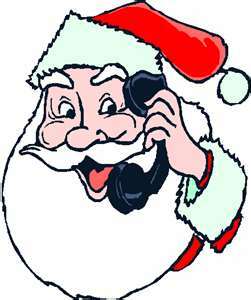 Be the first to comment on "Tis The Season For Christmas Phone Scams"